Being of an earlier MY, my car came with NTG1 Comand, DVD based Navigation and the additional options of Harman Kardon Audio, Analog/Digital TV Tuner, Bluetooth and Phone pre-wire. The intended upgrade would see me with the updated NTG2.5 system which came on very late production runs of the W219 (I believe 2008/2009). It introduced hard drive based navigation, full postcode search, 3D maps, updated voice control system, SD card reader and entirely updated UI and continued integration with the steering wheel controls and instrument cluster display. In these cars, all the audio is carried over a MOST fiber optic loop so everything pre-existing on the loop would be redundant and needed to be removed. 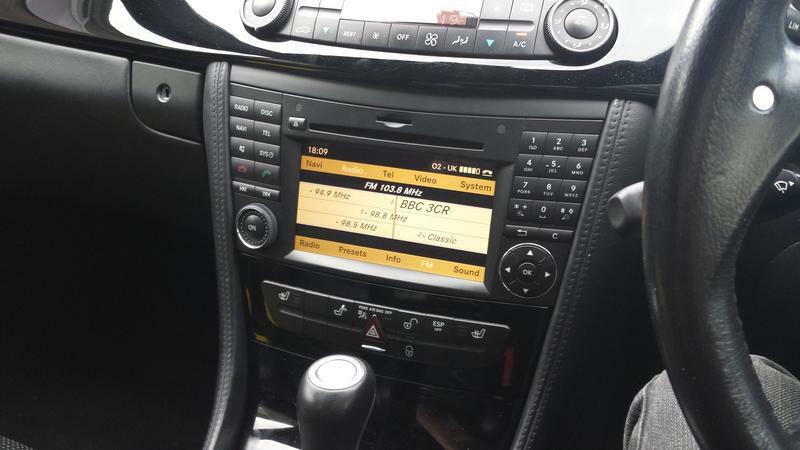 The new headunit contains the navigation processor and maps, phone control, Bluetooth etc but this also means that because everything was originally connected in the boot (GPS antenna, Bluetooth antenna, radio antenna, microphone) the cables needed to be extended, modified and routed up to the front of the car. I was in a particularly awkward position because of the Harman Kardon system – without this, the upgrade is a lot simpler as the headunit takes over the role of amplifier from the old Audio Gateway with a modified wiring loom to the speakers (1 adaptor NTG> Navigationseinheit Comand NTG 2.5 E-Klasse W211-W219 CLS Class ). With Harman Kardon, additional amplifiers (yes, two!) 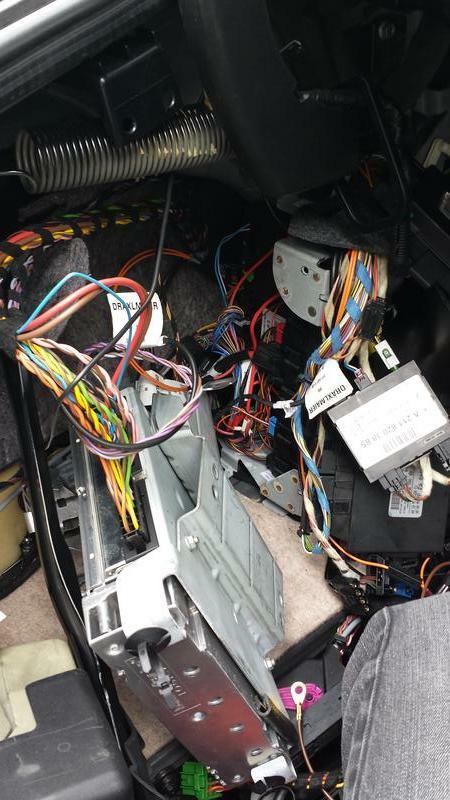 are required to make things work properly with the existing speakers and a fiber optic loop connection and more complex wiring loom needs to be made from the new headunit and the amplifier(s) in the boot. I did a lot of research beforehand and eventually found all the part numbers I needed and set about buying the bits. A clear weekend came up and I decided to take the car apart on the drive. 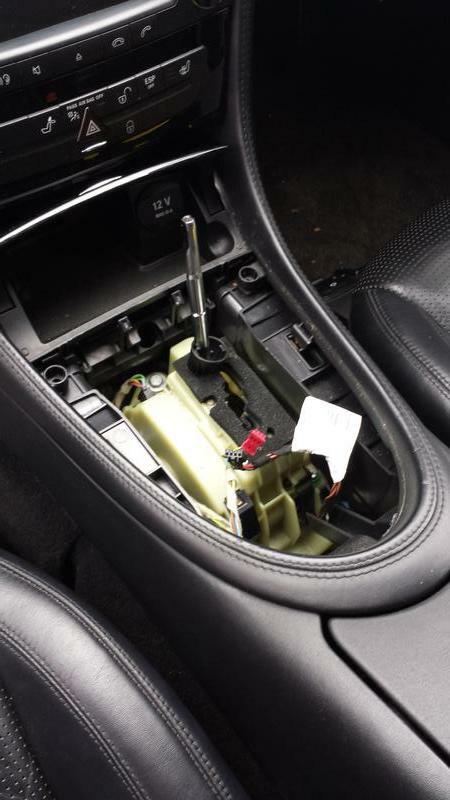 Started with removing the CD Changer in the center console – the flip up hidden panel it sits behind can no longer be controlled by the car/CANBUS when you change to NTG2.5 (without additional messing about – but it’s on my list of things to do). It needs to be removed with the AGW still connected to the car so the panel is operational and reconnected to close it before continuing. 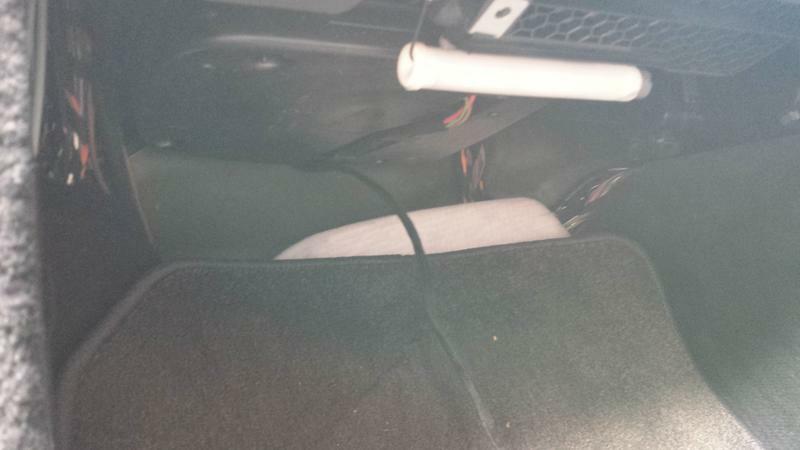 The headunit was then removed fairly easily and unplugged from the rear. 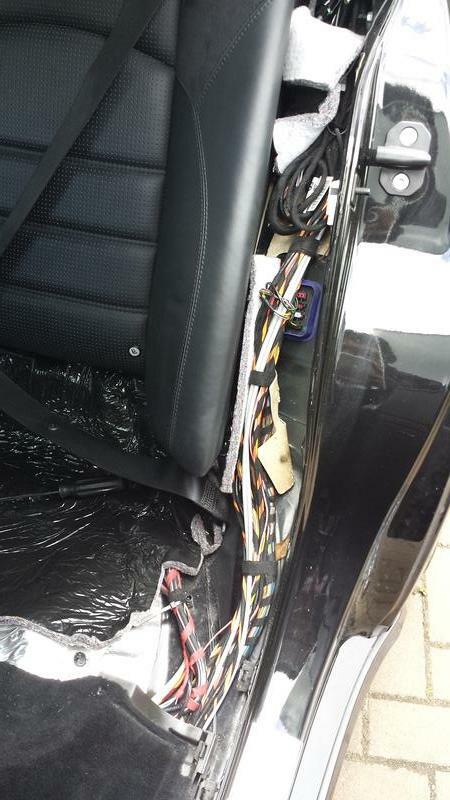 Once all the trim is removed, you are able to see the plastic cable duct that runs the entire length of the car and the route the loom takes going from front to rear through to the boot. I ran the new loom in the same ducting, connected all the headunit connectors (quad lock block and 3x FAKRA) to one end and left the other end dangling in the boot for now. There is a microphone extension cable that needs to be plugged in about half way up the rear wheel arch section of the cable duct. 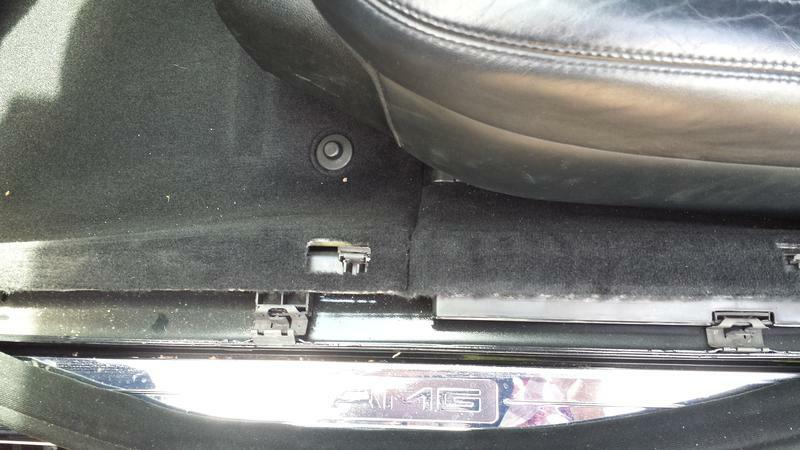 Next was ripping apart the boot trim: carpet, side panel, rear panel and storage compartments. This gave access to the cage where the other modules live. It’s quite delicate working in this area because of the proximity to the rear SAM but it’s doable if you’re careful. 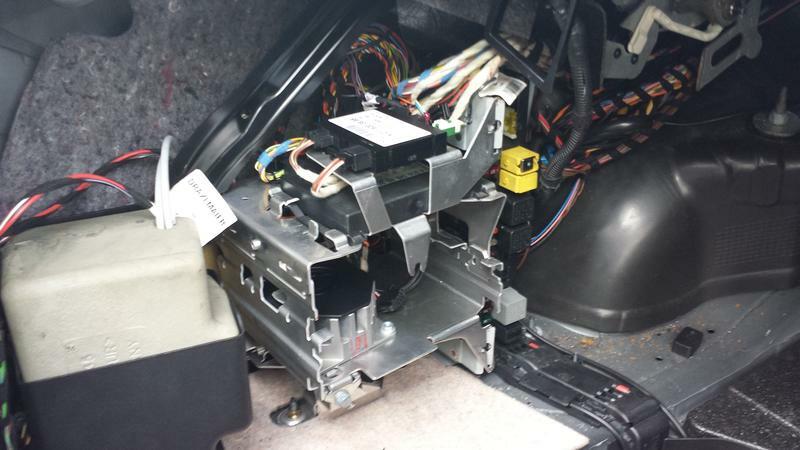 The Navigation Drive and TV Tuner come out of the cage and the old Audio Gateway/HK Amplifier is actually located on a bracket between the inner and outer shell of the car body – not immediately obvious. 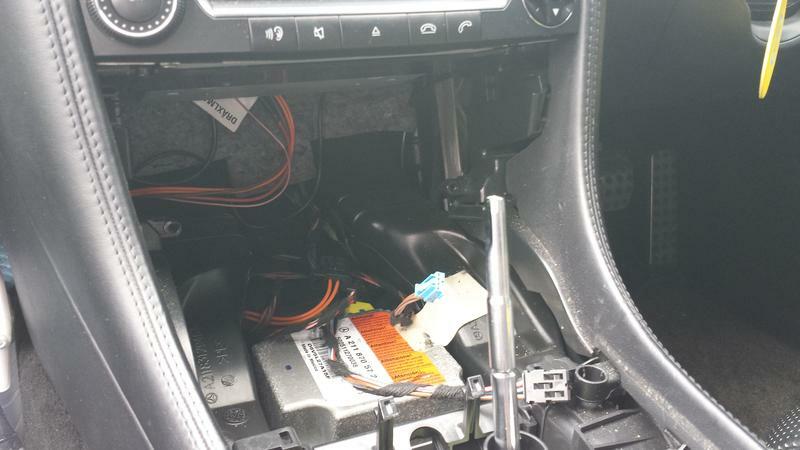 There’s also a plastic clam shell type arrangement at back of the boot which contains the phone/Bluetooth module – that needs to be disconnected too. Once they’re all removed, the wiring loom adapter etc can be pulled through and routed down to the correct position. I managed to re-use the existing mounting bracket/cage and bolts to secure the new main HK amplifier in the same position and used the cage to mount the subwoofer amplifier. There were some connector and wiring modifications to do due to slightly different pin-outs but it’s just plug and play with the FAKRA extensions. All reassembled looking good as new (if not better!). You can see the small subwoofer amp in the left hand side of the cage. 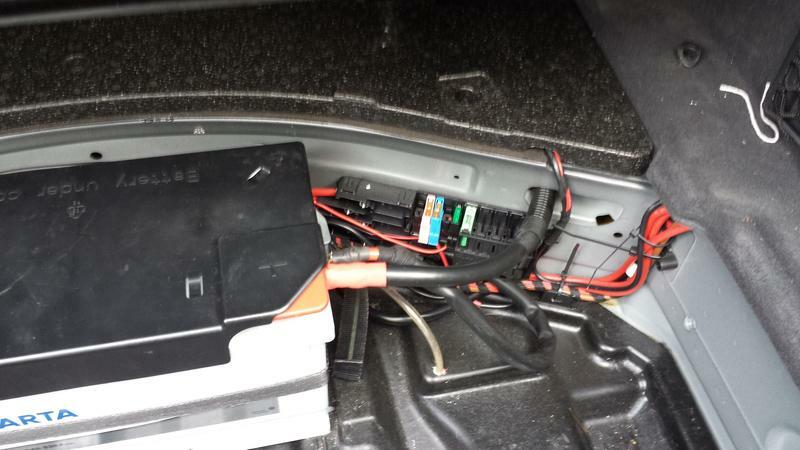 I wired the rear amplifier loom permanent live and ground near the battery in the boot – just used an empty fuse location. Did similar for the headunit live and ground at the front fuse box (this was actually a bit annoying since the fuse box location has been shifted to the driver side on RHD cars whereas on LHD, it’s also on the passenger side which makes life much easier when wiring things up). Few checks with the multimeter and powered on after making sure the fibre optic loop had no breaks (much of it is unused so the couplers that exist where the rest of the equipment used to be can be used to, for example, close up the gap where the CD Changer used to connect). The fibre cable is actually quite stuff and you need to be careful when re-routing it so as not to scratch the polished lens ends or bend it too sharply or it’ll break. Media Interface – Parts waiting for the media interface installation into the glove box – this is another connection to the fibre optic loop that adds an interface for AUX, iPod and USB disks that can be controlled by Comand. DONE! Quite an experience doing it all myself – also quite scary standing back and looking at the car in pieces! The key thing was taking my time doing it all and planning it from finding parts and part numbers right through to what order to do things in.